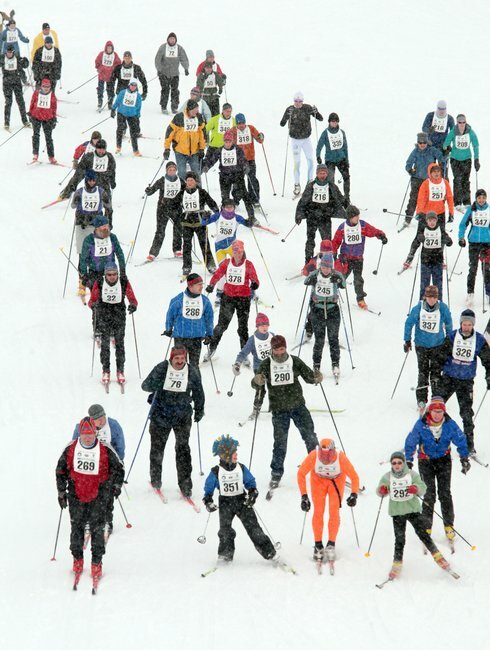 so the 40 and 50 km skiers definitely got their money’s worth of skiing. The course is all marked and set at Birch Hill… Danny and I will set out markers on the River in the morning, and deliver the TIMING SHACK. We plan to arrive on the River at 7:30am. 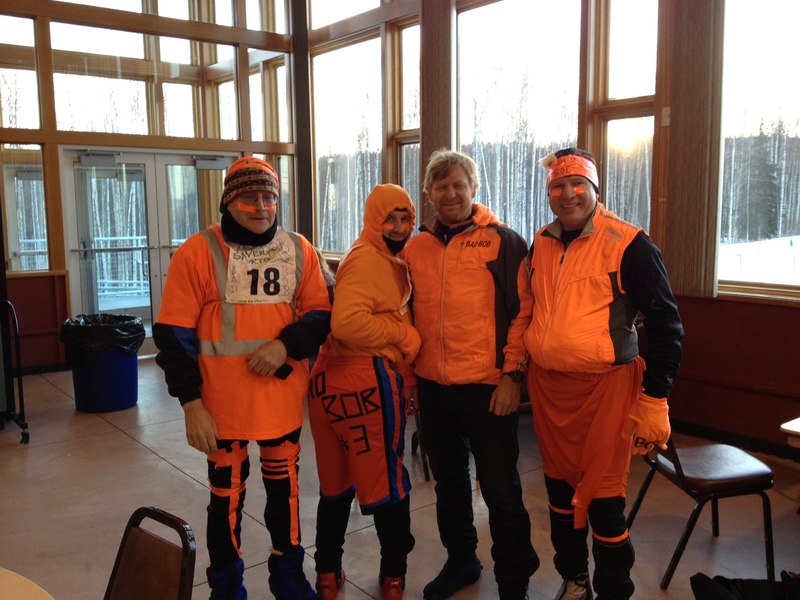 Tom, Russ and Ken plan to be to the start/finish area with the drags and track sled between 7:30 and 8:00 am. Then we will follow them back up River marking, and return before the race start. Here is the 40 km course…same as 50 km thru the warm-up loop, then the 40 km goes straight up the MAIN RAMP and directly into the TOWER LOOP, where it meets back up with the 50 km The 40km measures a hair over 40 kilometers, and the 50 km appears to be very very close to 50 kilometers. Both courses follow the MEDIVAC loop. Hopefully no one will be confused. 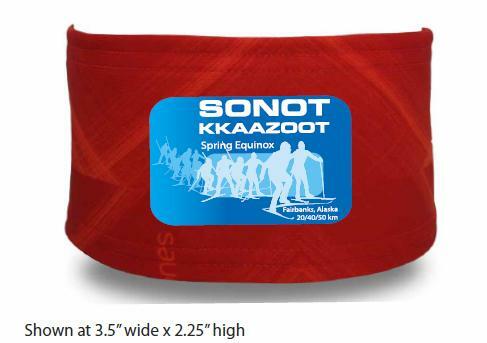 Although we requested a sunny spring day for the 26th Sonot Kkaazoot, the weather decided otherwise. 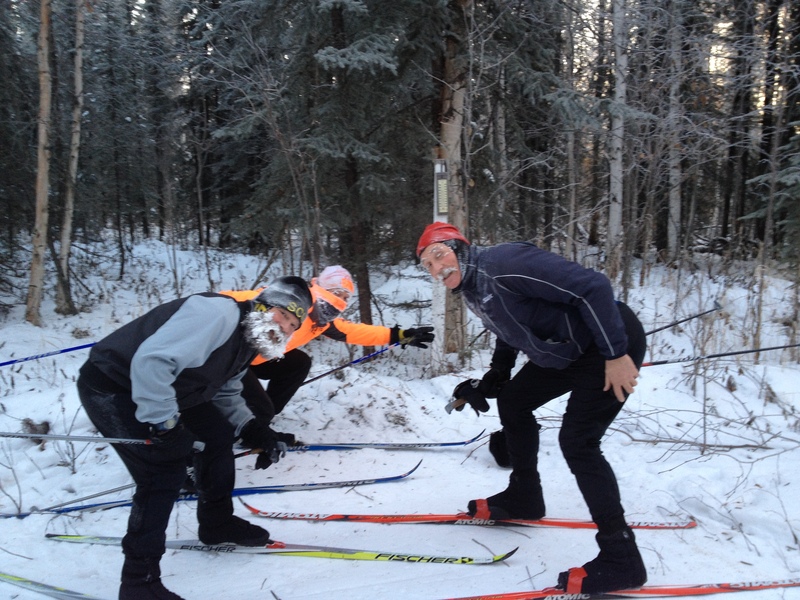 Good news: the Chena River is definitely safe for skiing and has been groomed to perfection. Not so good news: the weather forecasters are predicting snow and significant SW winds with temperatures falling through the day. 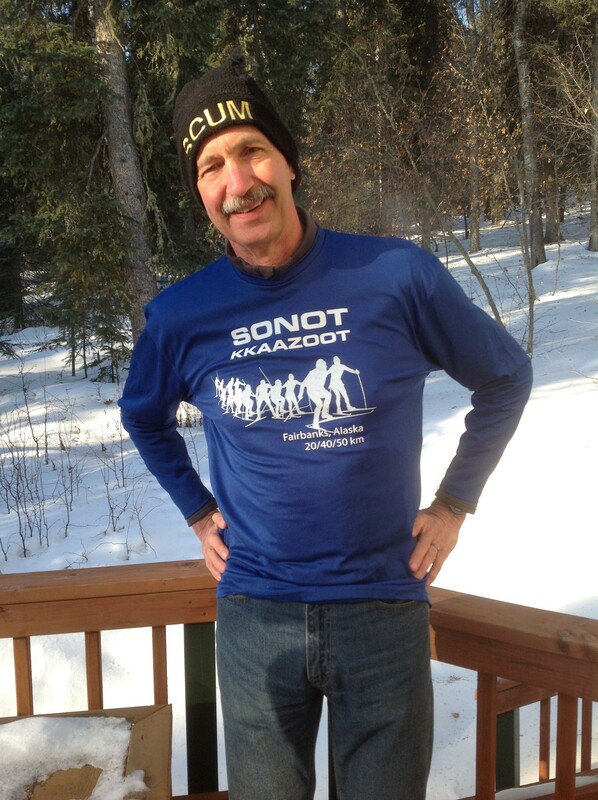 For non-elite wave that plans to be out on the trails for awhile, dress appropriately for the conditions and take advantage of the food and beverages at the feed stations. You can always leave a layer at a feed station and pick it up on the way back to the finish. All clothes and water bottles left at feed stations will be brought back to Birch Hill for the awards ceremony. “Seven SCUM with an average age of 63 and one red-headed Irishman shoveled snow under the Steese bridge this evening. It looked like someone had already dumped a few loads before our arrival. When you ski gracefully under the bridge thank Carl, Bob M, Eric, Terry, Frank, Andy, Donovan,myself and Dave B(the anonymous person(s)). 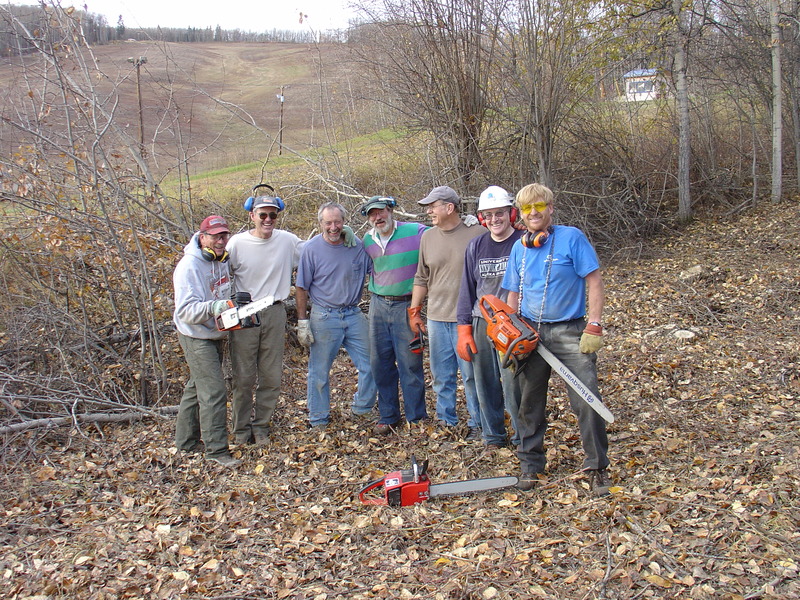 Volunteer trail work this week totaled 16 person hours of snow hauling and 2 1/2 hours of brush cutting. We’re scheduled to groom the river in the morning. I’ll send a message ASAP if more trail work is necessary.” (Update Wednesday: no further shoveling or brushing needed). The sub-zero temperatures that have descended upon Interior Alaska during darkness hours for over a week have kept river break-up at bay. 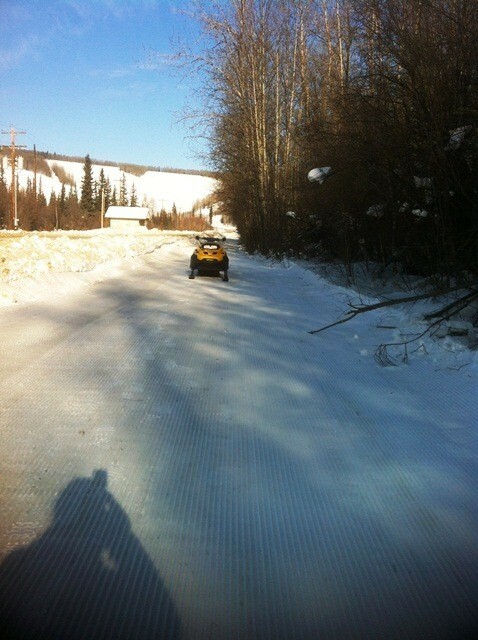 As of yesterday, Fort Wainwright groomers had turned the Sonot Connector and “ditch” between the ski lodge and the Chena River into beautiful corduroy. 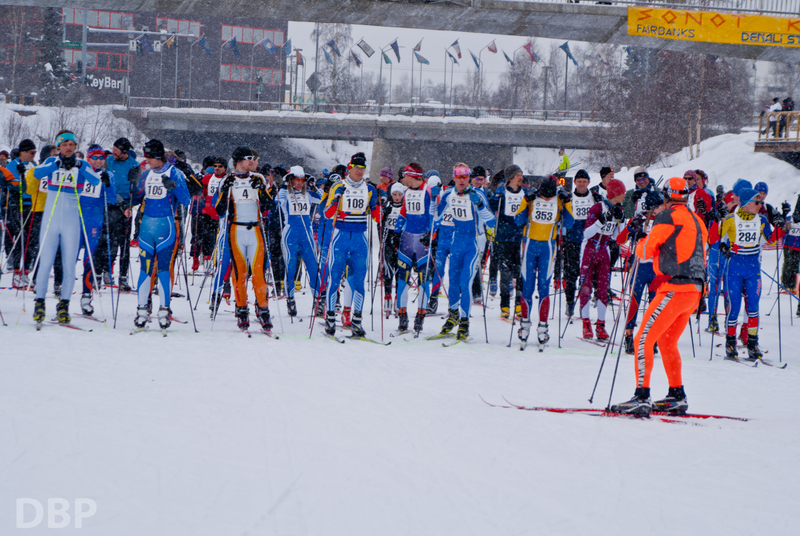 The first 5-hour dragging effort on the river was conducted yesterday after the Unlimited North American Sled Dog Races were over, and though rough in places, the river will be safe and skiable by race day, barring a radical change in weather. Full details will be available at bib pick-up this Thursday, 21 March. Wonder why Bad Bob Baker’s name included in just about every post on this Sonot blog? 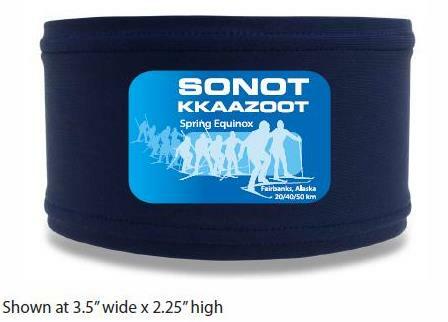 The Sonot Kkaazoot is like Bad Bob’s 4th child. Where a trail didn’t exist, Bad Bob helped make one. When all the chainsaws surrendered, Bad Bob attacked the brush with hand tools. 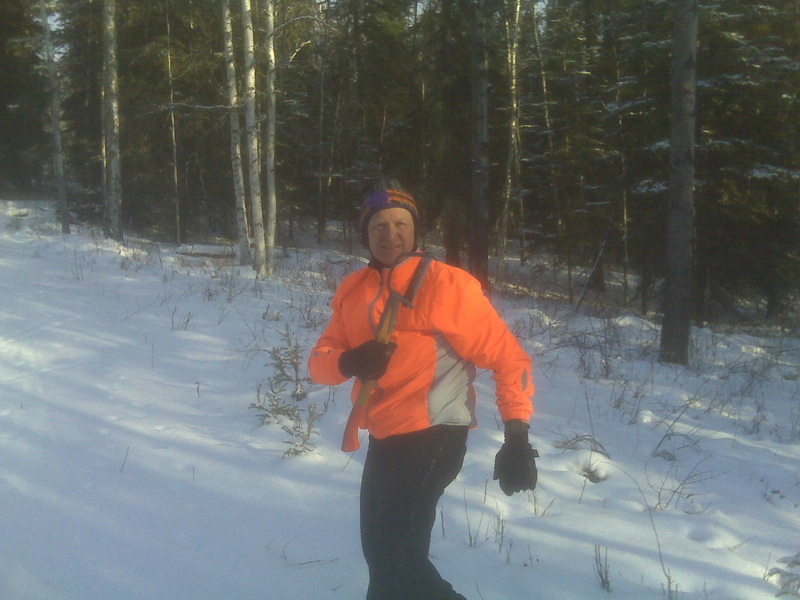 The amazing man in orange inspired us all winter when Birch Hill trails were less utilized than they are in springtime (photo by Bill Husby). For 25 years in March, Bad Bob would start the Sonot Kkaazoot (photo by Daniel Baker Photography): then jump in himself (photo from Fairbanks Daily News-Miner). 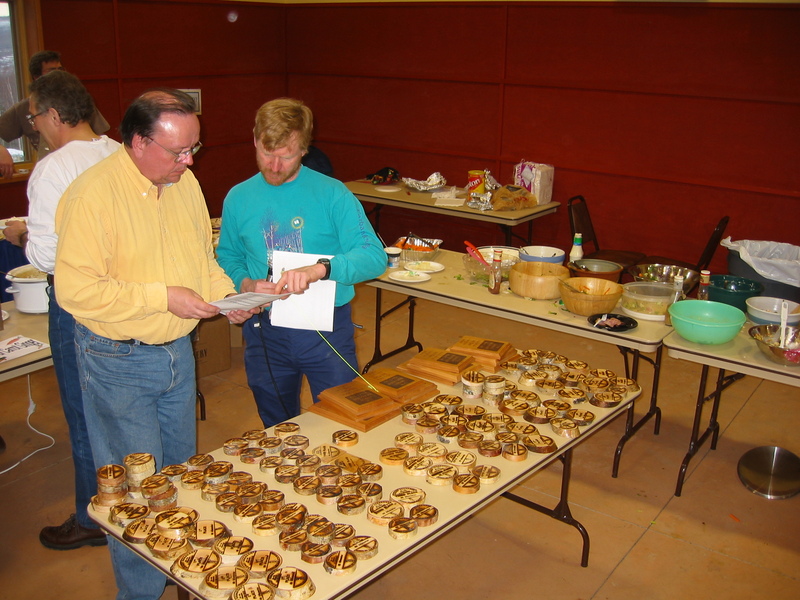 Also for 25 years, he has produced the woodels for the Sonot Kkaazoot age category winners. but cannot be replaced (photo courtesy of Dermot Cole). We hope that Bad Bob is enjoying his retirement from the Sonot Kkaazoot this year, because this boomerang “child” may not have fully fledged.